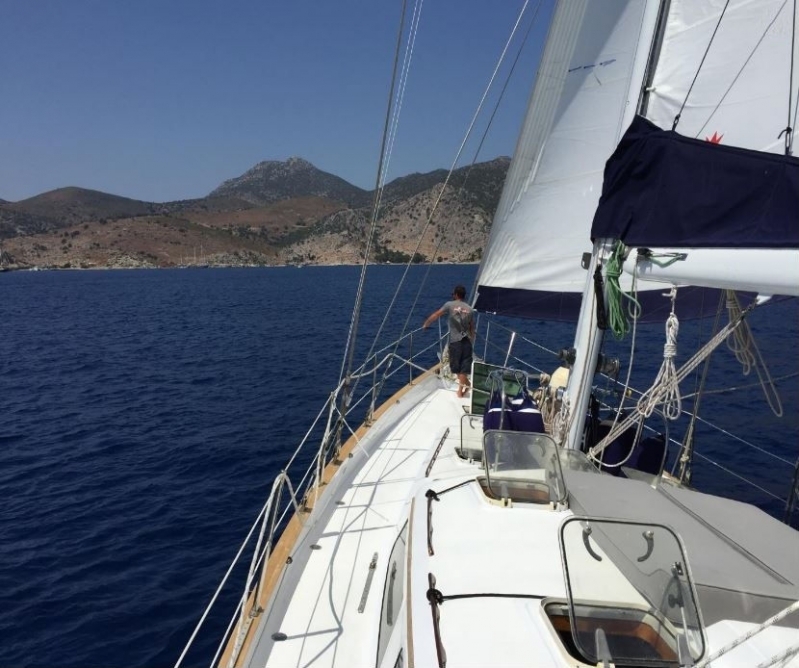 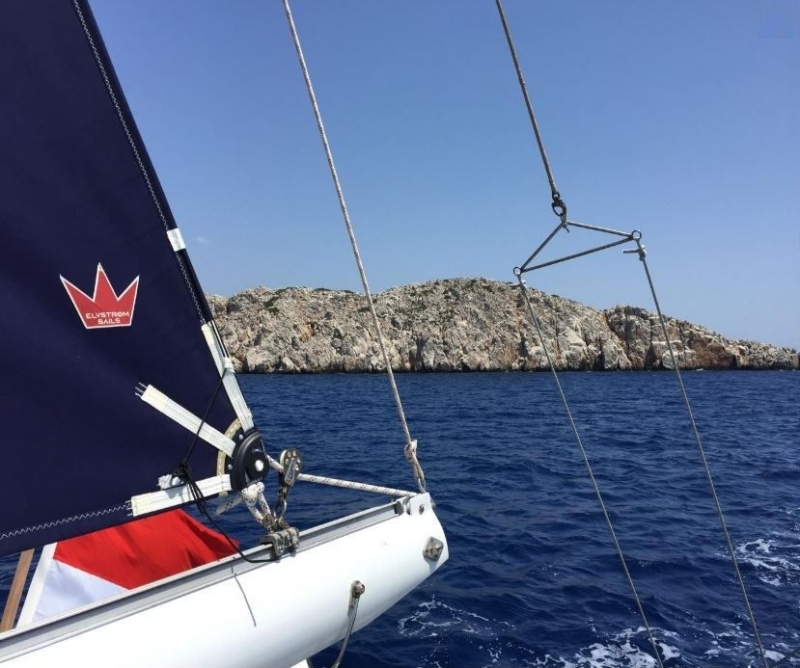 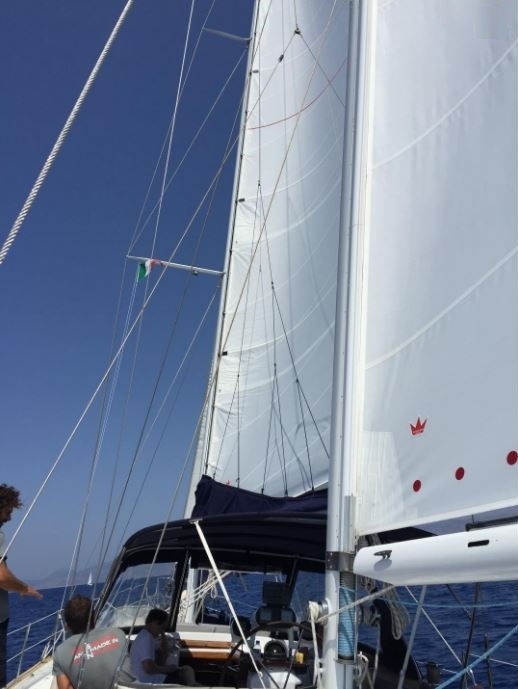 This wonderful 65 feet luxury Irwin Ketch sailing yacht is offered for fully crewed all inclusive charters at very affordable prices from Greece to the Dodecanese islands, Greece & the Turkish coasts and can be delivered to any area of Greece on request. 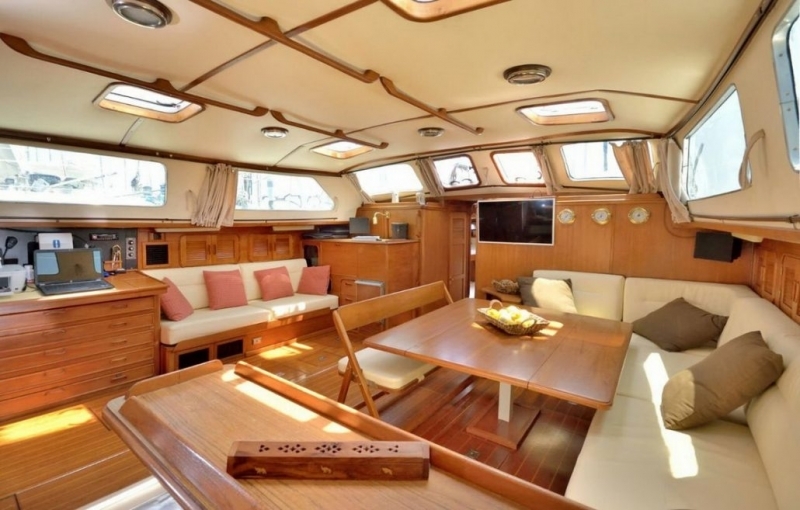 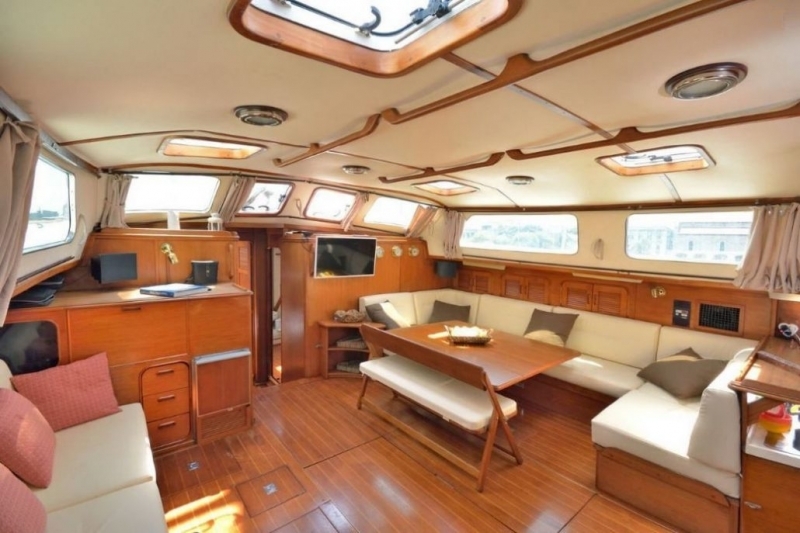 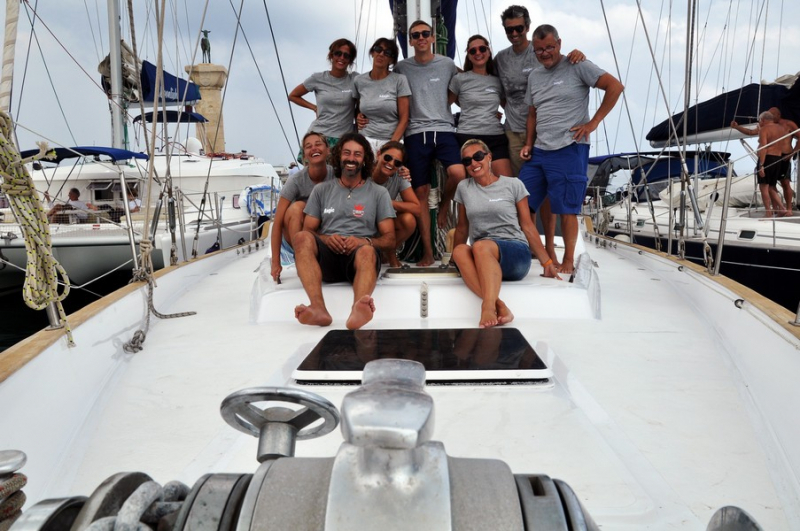 This fully air-conditioned charter Motor Sailing boat is perfectly maintained by her permanent crew of 2 and is well equipped to ensure the luxury of an unforgettable sailing experience at a low cost. 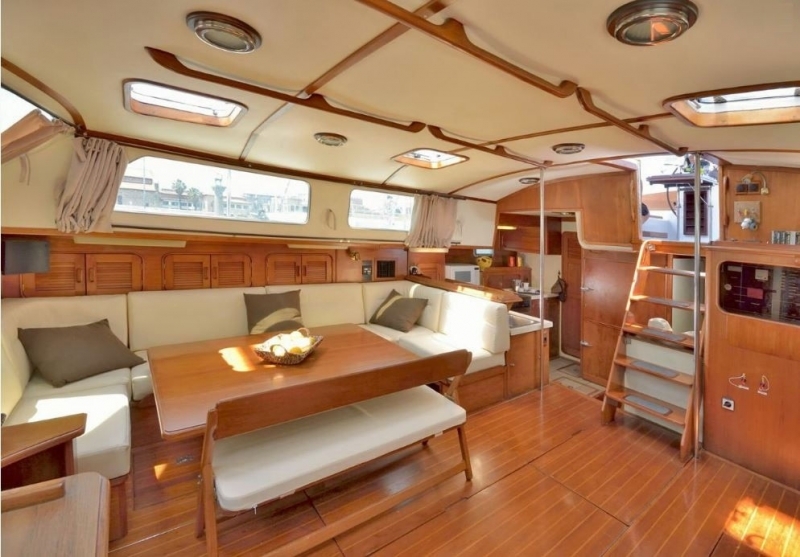 Built in USA by Ted Irwin's shipyard, famous for his innovative designs, blends luxurious accommodations and easy sail handling in a fast hull. 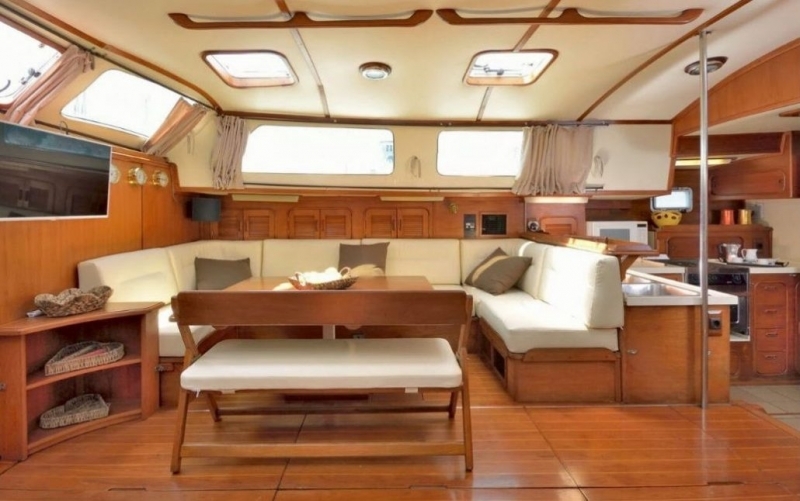 She is built according to his philosophy: To build a good boat, make her stylish and fast, stable and comfortable. 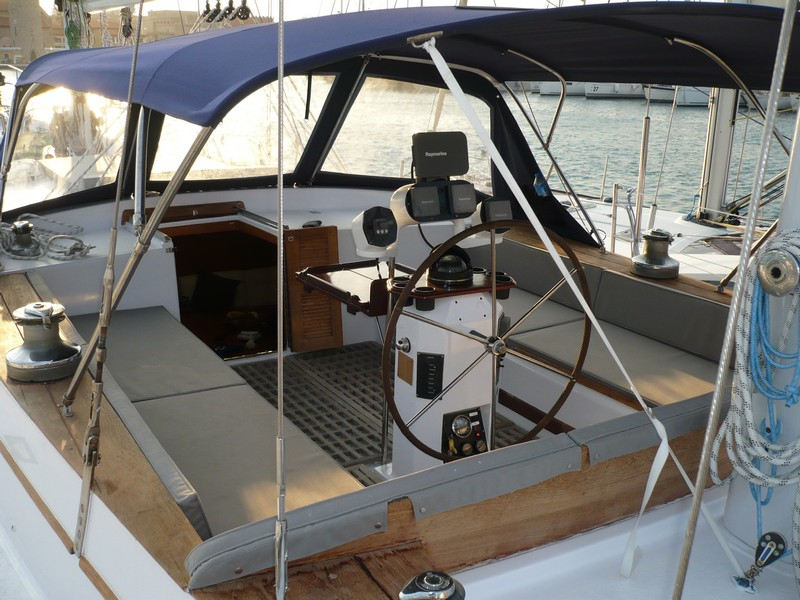 Irwin Yachts was the only major yacht manufacturer whose research and development program using international yacht racing to test new designs and construction techniques. 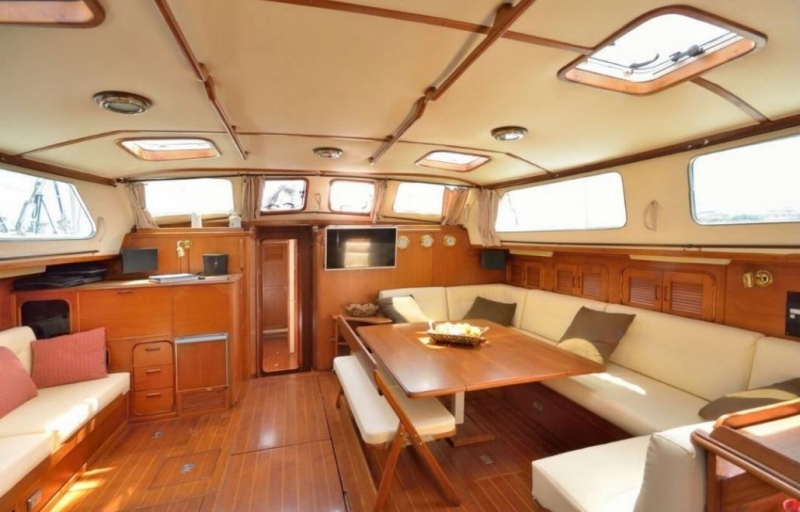 The interiors are a synonymous of elegance and optimization of space, with the ability to accommodate up to 8 passengers and 2 crew members. 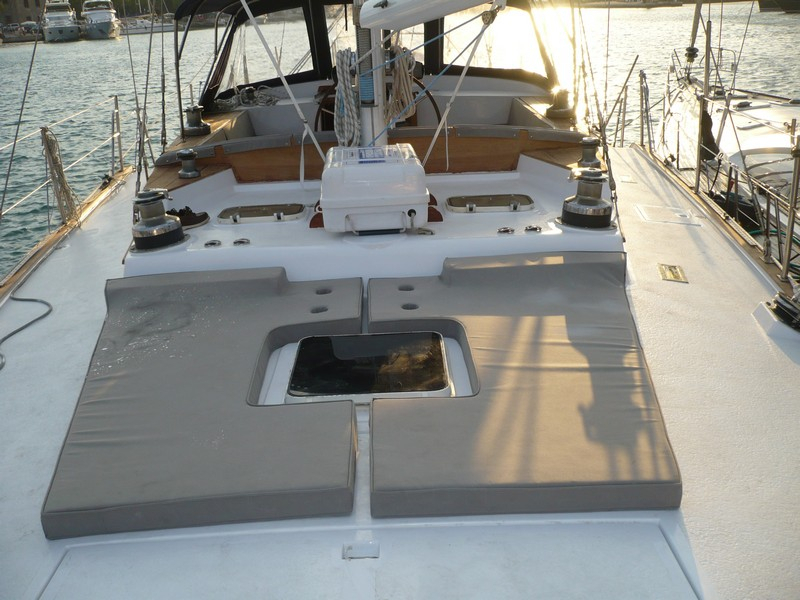 Irwin was proud to have built more cruising sailboats over 50 feet than any other boat builder in the world. 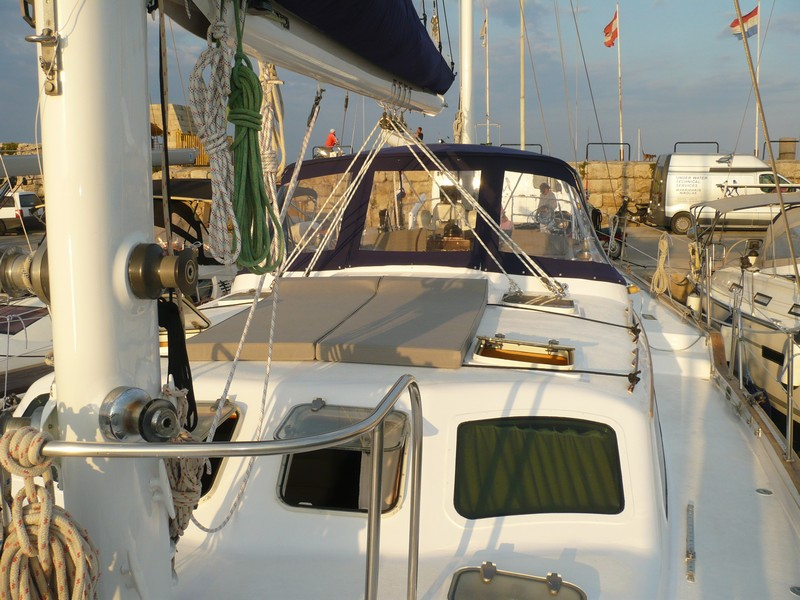 Over 6000 yachts have been built. 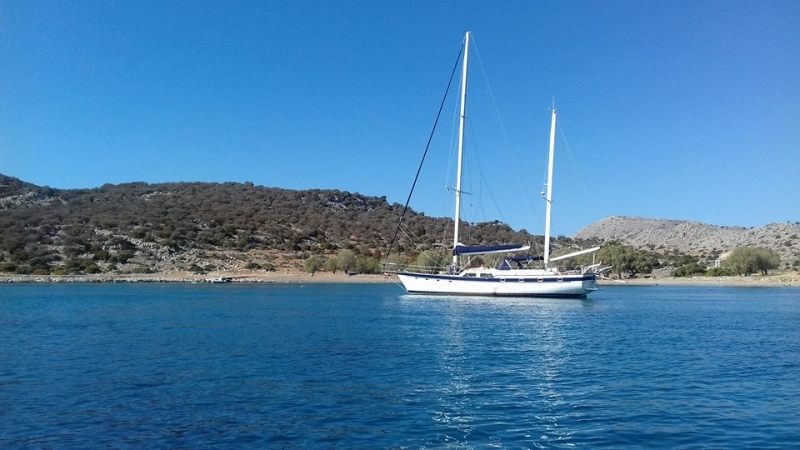 She is perfect for value for money charters, suitable also for those seeking a Gulet type yacht to rent from Greece, to visit the amazing Greek islands of Rodos, Kos, Symi, Halki, Leros, Kalymnos, Patmos, Arkioi, Lipsi etc. 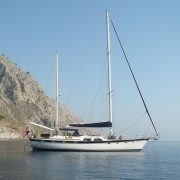 or Bodrum, Marmaris and the other Turkish coasts. 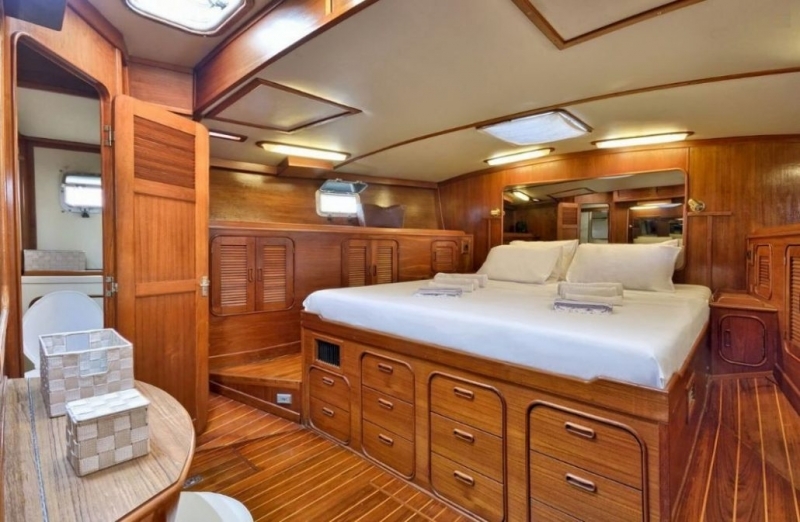 Included: Qualified permanent Crew of 2 (Captain/Cook & Engineer/Sailor), VAT, Fuel (up to 4-5 sailing hours/day), Half Board meals (Breakfast, Lunch or Dinner, evening Apperitif), Drinks (alcoholic & non-alcoholic, unlimited in reasonable quantities), Bed linen (changed every 3 days), Towels (bath & beach), Daily Cleaning, Water, Public Port Fees, Use of tender boat (reasonable). 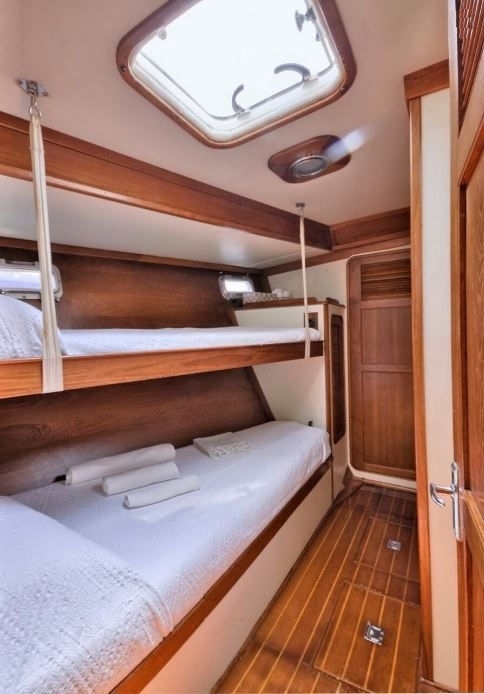 Sleeps 8 guests in 4 cabins. 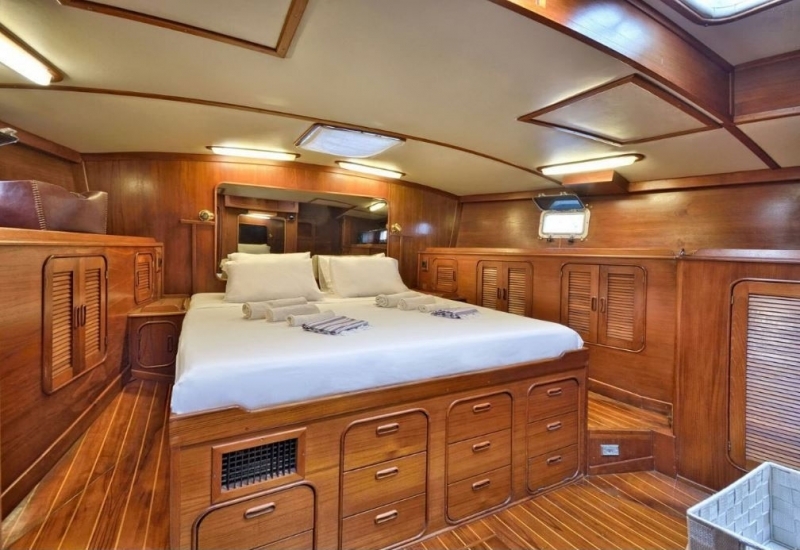 Plus Crew cabin. 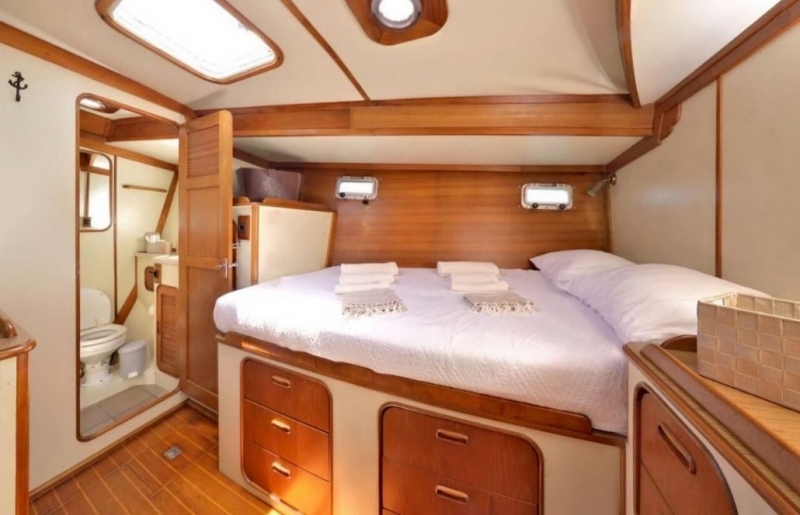 1 Master cabin with WC/Shower, 1 Double cabin with WC/Shower and 2 Double cabins with joining WC/Shower, one of which with 1 Bunk bed.